Congratulations on your engagement and we welcome you to Edel’s Bridal Boutique! 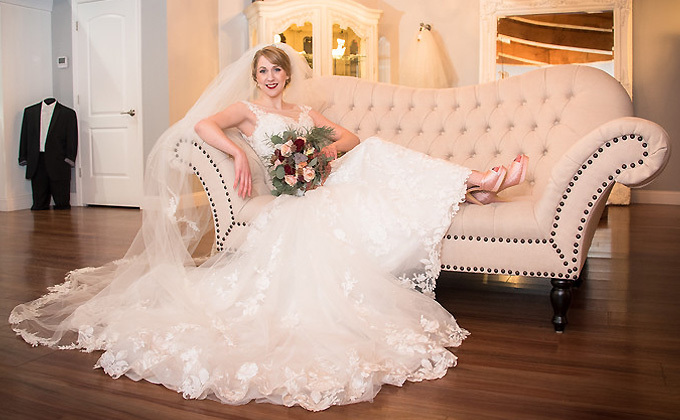 Our full-service bridal boutique is located at the beautiful historic waterfront of the Susquehanna river in Havre de Grace, Maryland. We are a family business that reflects a diverse American and European flair of elegance, trends and styles. Our focus is to cater to the modern bride and her entire bridal party providing a stunning collection of dresses from top designers for any look a bride can imagine, from romantic and ethereal to glamorous and resplendent. We provide superior customer service to all brides, bridal party members, and guests for a first-rate experience. Our experienced stylists are available to serve you exclusively, listen to you, and give you their full attention and time. In your search, we will assist you and offer advice as to which dresses will best fulfill your dreams without limitations. Whereas we welcome walk-ins, we ask that you schedule an appointment so one of our stylists is available to serve only you and your bridal party.